People who know me know that my musical tastes are quite eclectic. And while I love the music of the 1980s, because that was when I matured (for lack of a better term), my favourite musical era is undoubtedly the 1960s. Friends and relatives have been known to comment that I was born into the wrong era; many of them could see me as a 'tune in, turn on, drop out' hippy in the USA. So we come to 1969. 50 years ago. FIFTY years ago! 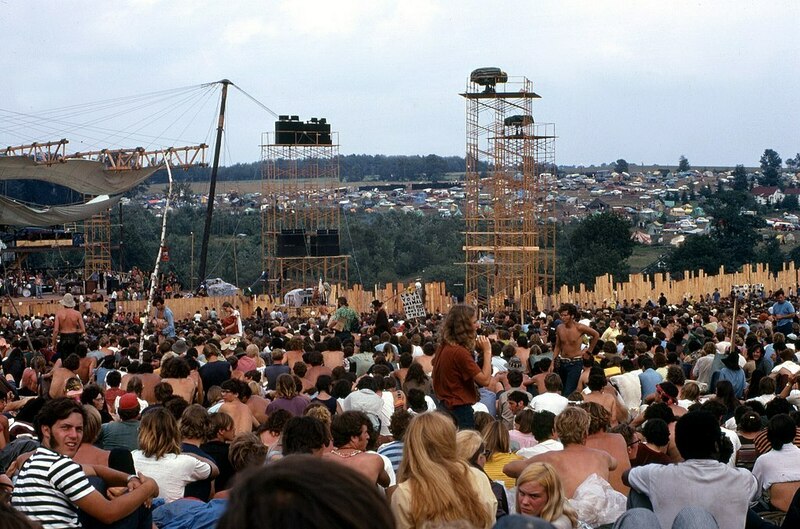 The age of Woodstock… but also Altamont. The year when rock and roll lost its innocence. The year anger spilled over into music more than it had before. Civil rights, the ongoing war in Vietnam, Chappaquiddick, the Manson family murders – it was not a good year in many respects. However, man walked on the moon for the first time, so it wasn't all bad. 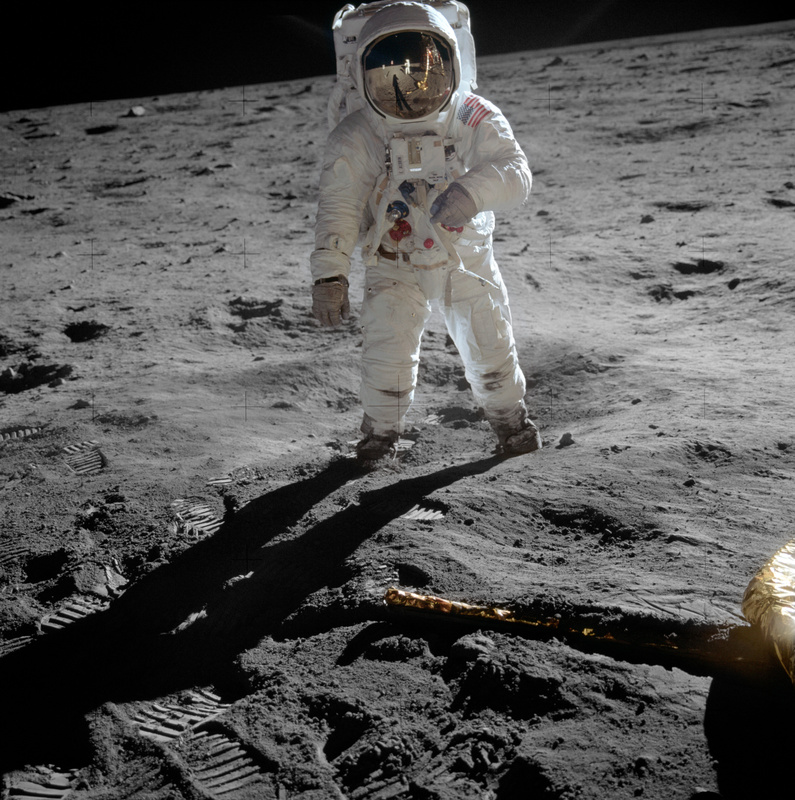 The real Buzz... on the real moon. The music of 1969 was incredible. It was the culmination of a decade that had seen rock music grow from essentially anodyne pop or early basic rockers to a multi-faceted gamut of incredible diversity – psychedelia, heavy metal, hard rock, folk-rock, jazz-rock, singer-songwriters, intelligent rock, garage, punk, you name it, it started here. To put forth a list of decent to great songs from the year would just be too long for any sane person to read. But, as it is fifty years ago, I wanted to do something. So I decided to list my favourite albums from the year. There is no list of nearly-there albums, just the best albums from 1969. In. My. Opinion. Here in alphabetical order by band. The second album from Bob Dylan's backing band is an incredible fusion of rock, folk, blues and country. It is a sound that was unique at the time, subsequently copied by many others. The music is amazing, the lyrics of the songs are incredible, showing what an under-rated song-writer Robbie Robertson was. On a par with their debut album, Songs From Big Pink. A song that tells a historical story with a glorious chorus. Pet Sounds was a masterpiece. There is nothing else to be said. But afterwards, Brian Wilson just didn't feel he could match it and eventually ended up in mental health care. However, the band released this album, a return in part to the surf music of their youth, and it feels wonderful and joyful. So many great tracks, and it just feels good. Just a wonderful piece of harmonising. This was never my favourite Beatles' album, though not the worst one, but I gained a new appreciation for it when I heard a number of the tracks redone for the Love album/show. The medley on side 2 (yes, it's an album – it has sides, okay!) felt weird to me, but as I've grown older and heard it again and again, I've come to appreciate the kaleidoscope it presents. Look, it's not their best, but it is still a great album. And it has one of the greatest love songs ever written on it. Best love song of the 60s, one of the best love songs ever. Ever! And Eric Clapton makes an appearance, for this one album supergroup. Mixing the jazz-blues experimentation of Cream with Traffic's soul-rock sensibilities, it is a singularly amazing album. It's not a lot of flashy playing or showing off, but it is a group of musicians playing together as a group, and producing something wonderful. Ignore the cover controversy and just enjoy a wonderful aural experience. Such a sad sounding song, with a real blues feel about it. A simply stunning live album. I first heard this as a little kid when my dad played it for me, and I fell in love with it. I never really like country music before this; this changed all of that. And the fact that thirty years later, with the American Recordings series, he was still releasing awesome music… the man was a legend. But this album. Really good. Almost a comedy song, but another song that tells a story and Cash sounds like he's having fun. Eric Clapton makes a second appearance! The first of the true 'supergroups', Cream said goodbye with this album. Six tracks, three live, three in the studio. It might not have been their very best album, but I don't think any of their albums was anything less than good. The live stuff showcased their individual playing really well, while the new studio tracks were a bit of a mixed bag. However, it was Cream, Eric Clapton was approaching the peak of his powers, and this is a strong album. A classic track and deservedly so. Another live album, and proof that there is nothing new under the sun. 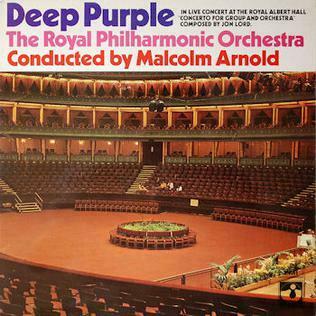 The whole 1990s thing of artists recording and performing with orchestras – well, Deep Purple were there long before all of them. They did it first and did it better. A majority of the music was actually written to be performed by a band with an orchestra, not just the old hits retooled. The album starts with the orchestra doing its thing, Purple doing theirs, and then they come together for the 50-plus minute magnum opus. It is a compelling piece of music in its own right, as fine a piece of rock as ever put onto vinyl. My favourite Deep Purple album. This is what rock band and orchestra should sound like. The album cover in lieu of a video. One of the forerunners of prog rock, this album is just a trip all its own. I find it hard to describe it, the music, the lyrics, everything. It is weird in a great way. I didn't discover this until after I did my journalism studies and a guy I worked with in the research department of a radio station (1990s – no Internet!) played it non-stop. Despite that, I still liked it, and to this day find it a fascinating listen. I can't describe this track, just that it is awesome and a hundred prog rock bands obviously took notes. They announced to the world that they were here with one of the most accomplished debuts ever, and then they followed it up with an incredible second album. Both are worth it, and I have trouble separating them, so they're both here. Page's years of playing in sessions and with other bands saw him bring a professionalism that was apparent from the word go, and would remain in force from then on. Their blues origins were on show, and what would lead to arguably the first of the stadium rock acts was already there in the incredible tunes. But the band were not a one-man show. Plant's voice soared, Bonham's drumming was tempered fury and Jones underpinned the whole lot masterfully. What a pair of albums. Just a weird aural landscape with some incredible musicianship. They knew how to rock, with an opening riff instantly recognisable, and a great guitar solo in the middle. Just fantastic. One of the most awesome live albums ever. From the opening, and then through every song, it is just such a great recording and makes the listener wish he or she was there, in the audience, enjoying this live. I don't know what else to say about this album – it's awesome. This is where punk got its ideas from, clearly. One of my favourite Rolling Stones albums, from an impressively huge back catalogue. I like all the tracks on this, but it does have my favourite Rolling Stones track on it. Apart from that track (see below), when you've 'Gimme Shelter' and 'Midnight Rambler' on the same album, you know it's going to be great. Even better, later editions included the 1969 single 'Hony Tonk Women', adding to the greatness. This was their first album essentially without Brian Jones, and it showed they didn't need him – Jagger and Richards were (and are) the heart and soul of the Stones. My favourite Stones track, with such amazing lyrics and a musical backing that just fills the speakers. This record regularly appears on lists of great albums and there is a good reason for that – it's a great album. Dusty was a seasoned performer by now, and the song selection shows that she and those around her knew her voice and what worked for Dusty. The soul is there, in the entire album, and it is still a joy to sit down and just listen to one of the finest voices in pop/rock. Dusty's voice soars and flies as she builds up this tale of true love. This has been called the first true rock opera. Maybe, maybe not (I think The Nice might have got there first), but it is certainly one of the best rock operas. The story is dodgy (a boy is struck deaf, dumb and blind by trauma, regains his senses, becomes a cult leader) but is undoubtedly a metaphor for something much larger. But the music makes this. The tracks are just superb. The playing is incredible throughout from all of them – Daltrey, Townshend, Entwistle and Moon. For most groups, this would have been a pinnacle, but the fact The Who went on to make even better albums in the 1970s says something about their talents and abilities. I love the build up to the end, with what sounds like a chorus done by Daltrey alone, Moon's drumming driving it along relentlessly. As always, comments, question, suggestions gratefully accepted! Why? EVen after 50 years, still great! It's hard to believe that these great albums are all 50 years old. Just shows that quality music will last. We don't have any of these Vinyl albums on our record shelf. We did like Dusty Springfield - gone too soon. 1969 was the year before our first son was born. He loves 1980's/1990's. Vinyl making a comeback, best sound on a turntable with a good quality diamond needle. We still play our vinyl instrumentals, mainly, middle of the road, movie & TV soundtracks big bands, symphonies, jazz with a few vocal artists in the mix. Thanks for the memories. A number of my favourites, including the Deep Purple album. I have it on tape but now on my iPod! Now there is a clash of technology.